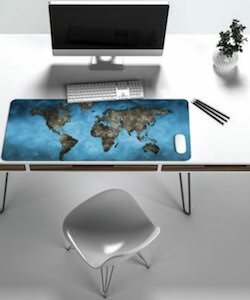 If you want to see the world while sitting on your desk then you should check out this Giant World Map Mousepad. This is not just a normal small mousepad, this mousepad is way bigger and will take a lot of space on your desk but that also means it looks great in front of your keyboard and there is plenty of space to use your mouse on. And you can get this mousepad is available in a bunch of sizes so that it fits neatly on your desk at home or the office. Now you don’t have to worry if you mousepad is in the right spot because this is so nice and big so come get your Giant World Map Mousepad. This spiral bound notebook is perfect for home, school, and the office and if you like robots then this even more perfect for you. On the cover, you can see the ocean, clouds, and a robot holding up a little sailboat. So you can have a notebook that has a robot playing with a boat on the cover. Inside the notebook, you will find 120 pages and you can choose between graph or lined paper. 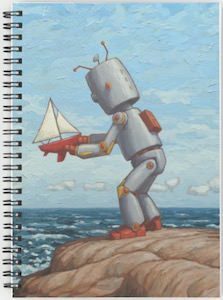 I know you like this robot notebook and it would look great for back to school or back to the office so why not order your Robot And It’s Sailboat Notebook. Now there is a notebook made especially for Pokemon Go players that are part of team Valor. The front of this spiral notebook is black and on that, you can find the red logo of Team Valor and that looks really good. You can get the Pokemon notebook with graph paper or lined so that you can get the Valor notebook for the task at hand. Inside the Pokemon notebook, you will find 120 pages and that makes it perfect for school and work but using it at home for notes or as a journal are an option too. Come and show the world that you are Team Valor by using this Pokemon Go Team Valor Spiral Notebook. 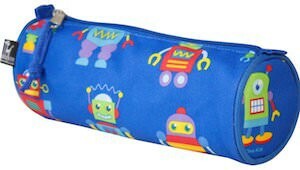 This pencil case is blue and has robots in all kinds of shapes and colors on it. If you are sick of loosing pens and pencils or running behind you kids collecting all the pencils they leave behind then this pencil case would be a great solution. Of course a robot pencil case is super cool for school and even fun for the office. As there are robots on this pencil case could be enough reason to get it and then you can put your pens, pencils erasers and more all in this cool looking case. Come and get ready to organize your pens in this Robot Pencil Case. OK everybody wants an iPhone but lots of people can’t afford one. Now the people who can’t afford one can have this. 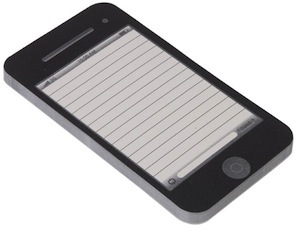 This is a 50 sheet notepad that looks like an iPhone. It has the home button and tons of other features that of course are just printed on a piece of paper. Go see all the pictures of this iPhone 50 Sheet Notepad.